A potent, fast-acting formula! 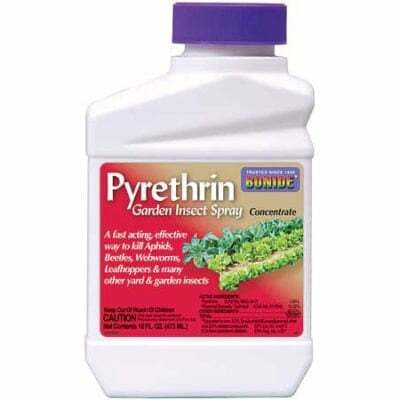 Bonide Pyrethrin Garden Insect Spray is a powerful botanical insecticide derived from chrysanthemum flowers. 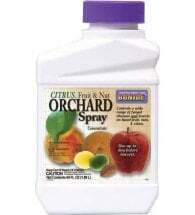 Use up to the day of harvest to control a long list of troublesome pests on vegetables, fruits and flowers. This product is NOT registered for sale in the state of California. Available in 8oz and pint (16oz) sizes. Mix 7.5 to 15 oz of concentrate in 5 gallons of water or 3 to 5 Tbsp per 1 gallon (1 Tbsp per quart of water). 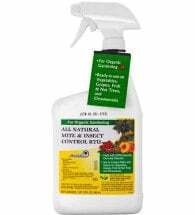 Apply to insure thorough coverage of upper and lower leaf surfaces. 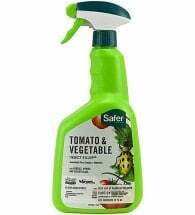 Use caution on new growth and tender foliage. Note: Contains Piperonyl Butoxide (PBO), a sassafras extract that is NO longer approved for organic use. 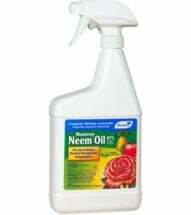 May be applied any time during the growing season and up to the day of harvest.